Sunset Home for the Elderly is a private assisted living establishment operated by a team of healthcare professionals with more than 50 years of experience. 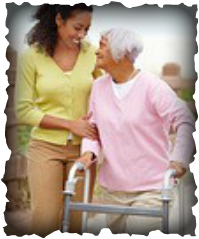 Our goal is to provide an affordable, safe, quality environment for the seniors in our community. We offer a full range of services, from housekeeping to fresh home-made meals, that help our residents remain safely independent. Rooms are designed to provide privacy, but with easy access to activities and companionship. We also have a 24-hour emergency response system to provide assistance and security. Services include elegant living areas, a full complement of hospitality services including three homemade meals per day, snacks, weekly housekeeping and laundry service, scheduled local transportation, maintenance of building and grounds, wellness programs, social activities, and assistance with personal care, such as dressing, bathing, eating, and managing medications 24 hours a day, 7 days per week. Family members can rest assured that at Sunset Home every need is provided for in a manner that is compassionate and timely.